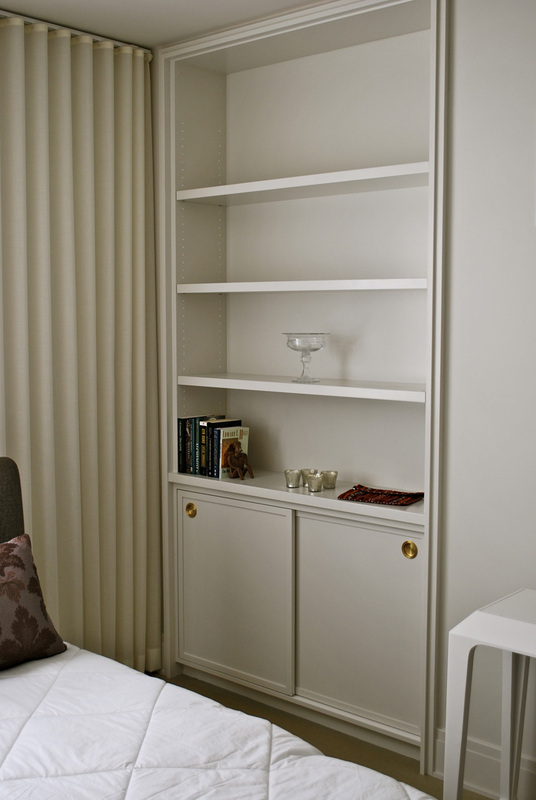 Natural Finish walnut veneered closet cabinetry. Polished lacquer dressing table. High polished lacquer speaker cabinets and welded steel tv bracket. Bar in stainless steel and Avonite. 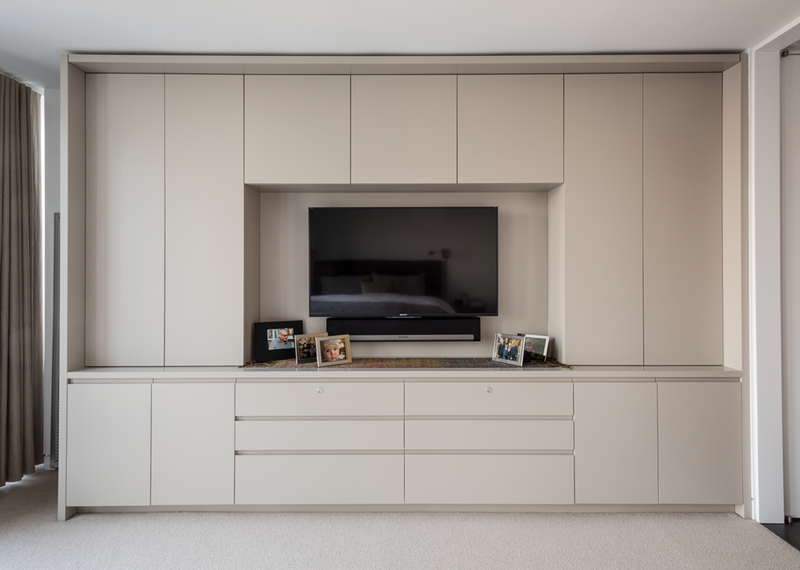 Flat cut walnut cabinets with integrated finger pulls, bookcases in natural lacquer finish. Rift sawn white oak bookcase with cerused finished and black patinated steel frame with steel backed finished pulls. Custom IPE planters and wind screen. Planting by Groundwork Design. Two person office in flat cut walnut veneers and solid hardwood trim. 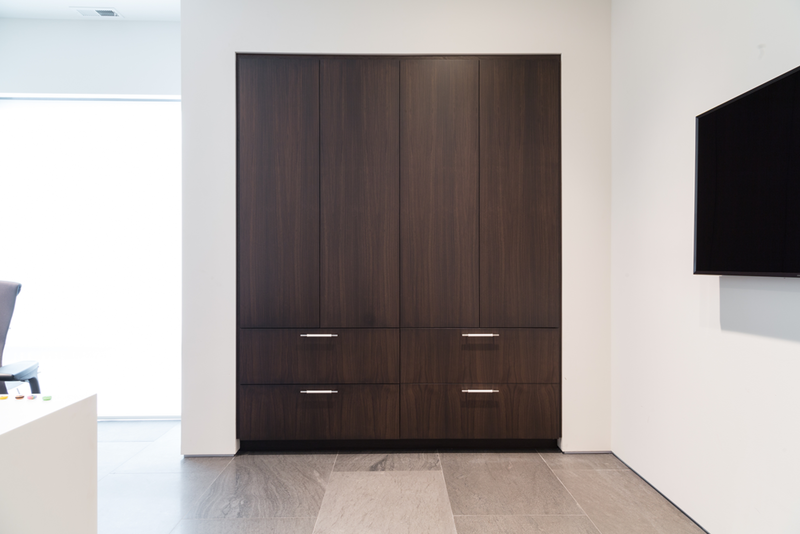 Flat cut walnut cabinets with integrated finger pulls in natural lacquer finish. Solid quartered white oak cabinet with integrated finger pull cut-outs, antiqued stain to match existing trim. 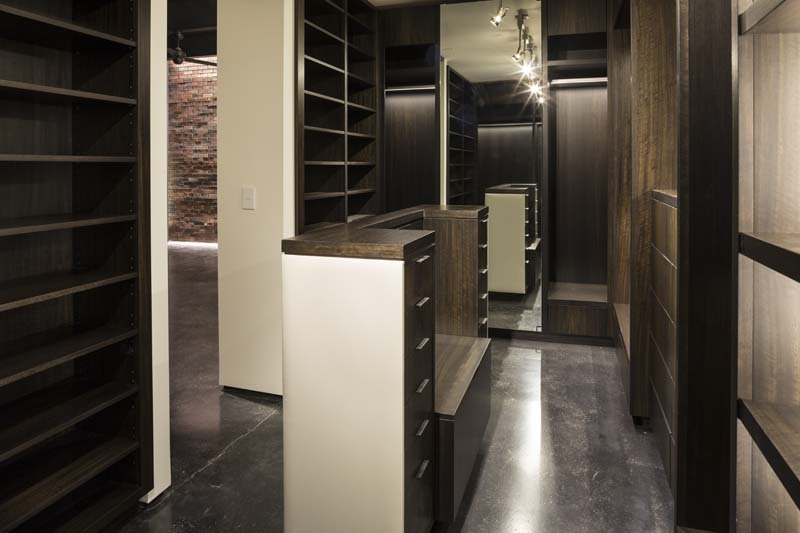 Dressing room cabinetry in fumed Eucalyptus veneer with LED lighting and Leather island paneling. Polished lacquer media cabinet with natural finished walnut paneling. Natural finish Walnut veneered wine cellar with solid walnut dowel racking. Custom ladder. Charred pine and reclaimed maple paneling. Steel I beam cut stations with Catalpa slab tops. Wash statin mosaic with rubberized paint. Solid walnut and plain sliced walnut veneered store fixtures. Custom made hardware for solid walnut jewelry display case. Plain sliced cherry media wall and banquette with ebonized cherry shelves. Custom stainless steel table with solid cherry cross base. Upholstered lids on banquette with storage inside.